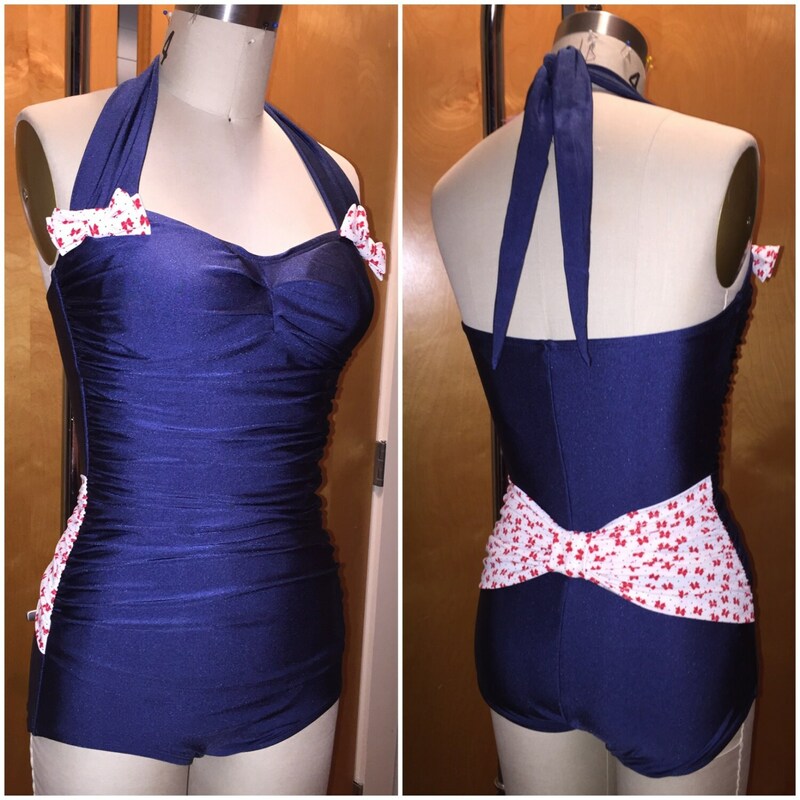 The Rita Swimsuit in made of decadent layers of navy nylon/spandex lycra, shaped like a swim dress but with bottoms attached. It features ruched SUPER slimming front sheath. 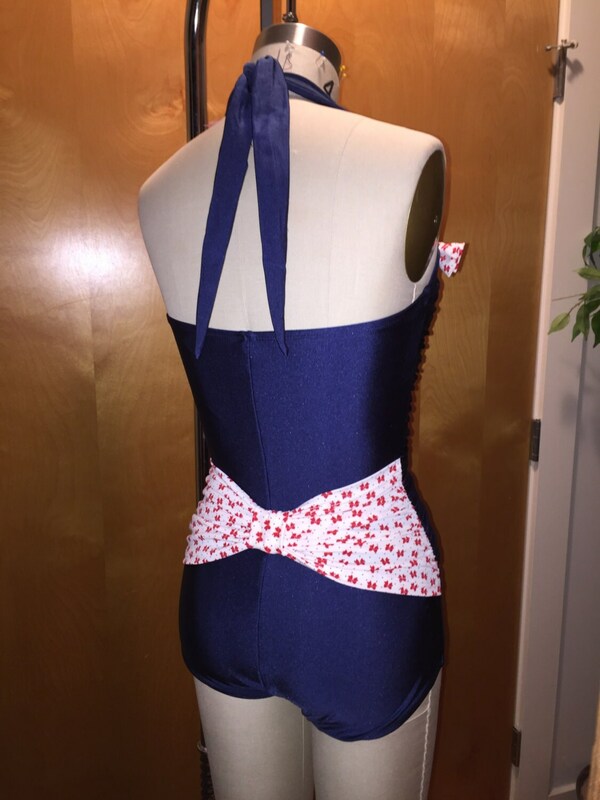 This beauty is fully lined and has a built in shelf bra with lots of support, adjustable halter ties, and two cutie bows at the shoulders. And turn around, girl!! There's a giant bum bow to wow them as you walk away. A piece fit for the fanciest of pool parties with a splash finish!! 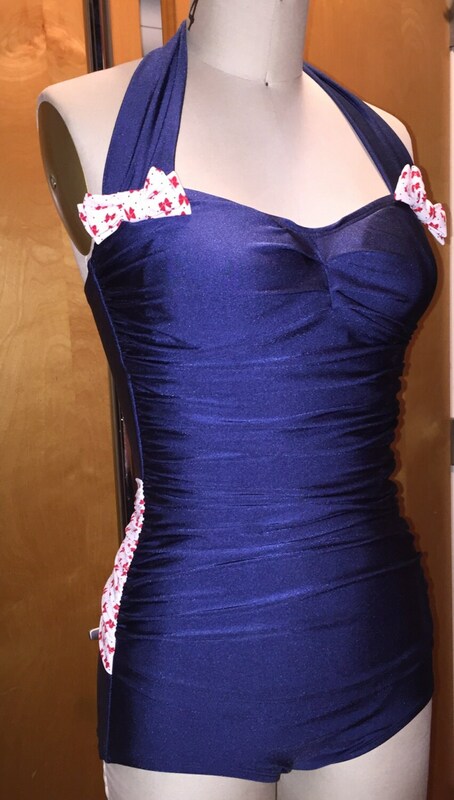 Size XS: Bust: 28-32" Waist: 22-26" Hips: 30-34"
Size 1X: 40-44" Waist: 34-39" Hips: 42-48"
Size 2X: 43-48" Waist: 37-42" Hips:45-51"